Connection is a social determinant of health. 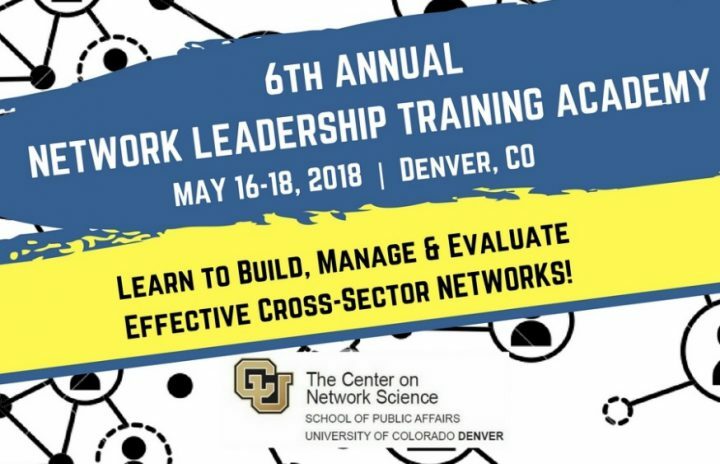 Last week I participated in the Network Leadership Training Academy hosted by the University of Colorado at Denver’s Center on Network Science. It was wonderful to meet fellow network geeks and enthusiasts from around the country and Canada and to hear about diverse applications of network theory and practice, from public health to public transportation, from early childhood education to after-school programming, from housing to firefighting. I was invited to share some of what we at the Interaction Institute for Social Change are learning as we work at the intersection of networks and equity, which included telling the evolving story of Food Solutions New England. There seemed to be resonance with and appetite for going deeper to unpack how networks can be forces for truly equitable liberation from dysfunctional and damaging systems. And there were many other presenters over the course of the couple of days I was able to attend. Here are some of my take-aways. Closed networks do not lend themselves to novelty. For innovation (and presumably for both resilience and adaptability) it is important to pay attention to “structural holes” in networks. Effective engagement rests on authentic listening, informal exchanges and meetings (lunch, coffee), identifying and honoring strengths and assets, thinking of people as people and not projects, constantly showing up and closing loops. In order to activate a network you have to have established sufficient trust and reciprocity. Effective networks for individual “leaders” are open (distributed), diverse and deep. Increasingly healing needs to be viewed as a foundational goal of developing networks. The Partner Tool, a social network analysis tool designed to measure and monitor collaboration among people/organizations. Person-Centered Network App, for use by a provider to first screen a person to assess their gaps and strengths in their personal support systems and then, based on the results, link them to available community resources.